Copyright 2011. All rights reserved. Creative Pension Design, Inc.
Rick began his career as a pension actuary in 1980 with a small consulting firm in Phoenix, AZ. He has worked for several different consulting firms, both in the small plan and large plan markets. Prior to founding Creative Pension Design in 2004, he was the Chief Actuary and Director of Operations for over 10 years at a leading pension firm in the Chicago suburbs. Rick has significant experience in the design of retirement programs for small businesses. He holds a Bachelor’s degree in Mathematics from Winona State University and is an Enrolled Actuary, a Member of the American Society of Pension Professionals and Actuaries, and a Member of the American Academy of Actuaries. 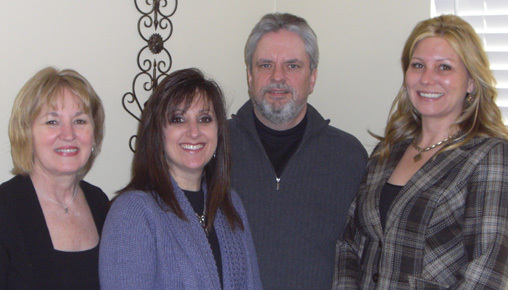 Andrea began her pension career in 1995 with a consulting firm in the Detroit area. After returning to Chicago, she worked for a leading pension firm in the Chicago suburbs for 8 years prior to joining Creative Pension Design. Andrea holds a Bachelor’s degree in Economics from the University of Wisconsin and an MBA from Wayne State University. She has earned the Qualified Pension Administrator designation from the American Society of Pension Professionals and Actuaries and is currently pursuing her ERPA designation. Denise began her career in 1997 as a pension administrator with a leading pension firm in the Chicago suburbs, where she remained employed for 12 years prior to joining Creative Pension Design in January, 2010. Denise is currently studying to obtain the ERPA and QPA designations.